So often in our top-down instant-gratification culture, singular and simple solutions are employed to address multifaceted and complex problems. For sick people, we have pills from big pharmaceutical companies. For debt problems associated with consumerism we have credit cards. For global warming, however, many of us seem to understand it to be a fairly ornate issue. Perhaps the top down approach is not going to fit the bill on this one, unless the large companies at the top have some way to profit from the action and implement streamlined solutions. There is a real and imminent threat of mega-corporations using new renewable energy technology for their own fiscal benefit often leaving local communities in the dust (as we’re seeing in Brazil and Canada to name just a couple examples). Smart methods of practical change that involve everyone are of utmost importance – and this is what drew us so strongly to Yansa’s work. Yansa’s mission is to provide communities with the means, tools and training to operate their own wind farms. Providing technology, training and capital, they help communities to invest in and use their own sustainable energy sources. The electricity generated from the wind farms is sold to the national grid of the host country, bringing profits straight back to the community. Yansa, has figured out how to solve problems on multiple levels. Through their intelligent and effective pairings of mixing environmental sustainability, responsible investing opportunities, and helping to build strong social structures, Yansa is a true champion of innovation across sectors. Below, Yansa’s Development Coordinator, Amy Spellman, shares her personal narrative of how she came to work for such a special organization and the professional and personal revelations she’s had along the way being a part of this group. Her awareness of this multi-layered approach and her thoughts on why they are so important point straight back to Yansa’s mission. Yansa’s projects are humble in scale, authentic in spirit, and immense in impact. Check out their website for more information. When a group of friends that shared a concern for social, economic and environmental justice issues came together to form Yansa, their vision was to use it as a vehicle to drive a just transition to renewable energy through community-based projects. These projects would serve to empower marginalized communities through a model that expanded economic opportunities and emphasized social impacts. From the beginning, our team has been ever expanding and includes many different types of people; indigenous activists, wind development experts, social impact investors, academics, and it’s our diversity that enables us to create successful partnerships and sustainable projects. I joined the team in 2011 after stumbling upon a job board post for summer interns at Yansa. I had little free time but Yansa’s profile matched so perfectly with my background and passions that I applied anyway. Writing this blog as Yansa’s Development Coordinator, I have managed to expand that two-month internship opportunity into two years of experience and engagement that have been pivotal to my own growth. I am fortunate to be involved with each Yansa project, in cultivating the rich relationships that come along with this work and in seeing some of the original goals of our founding members translate into concrete successes. 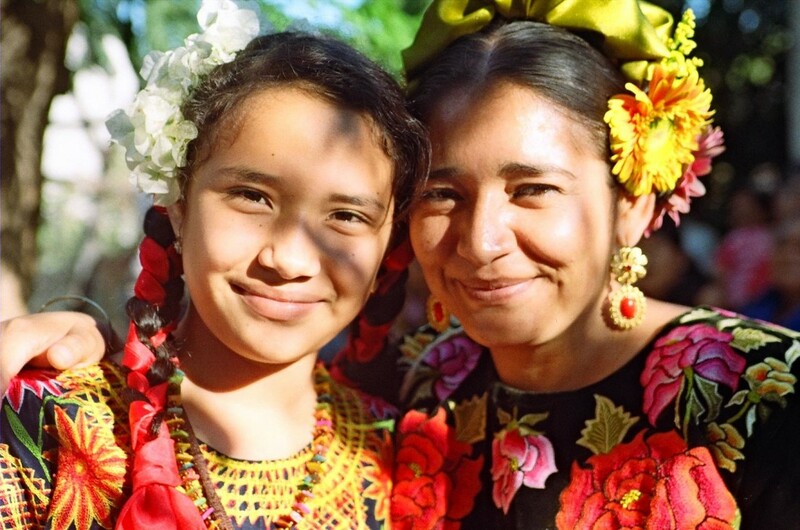 Our initial Yansa project began in the city of Ixtepec, an indigenous community in the Isthmus of Tehuantepec, Oaxaca, Mexico. Before the formation of Yansa, co-founder Sergio Oceransky had lived in Denmark and Germany, where he witnessed the success of community-base wind farms in Europe. He was instantly convinced of the potential for viable community wind projects in indigenous and other historically oppressed communities and founded Yansa to realize this idea. During a trip to Oaxaca, in Southern Mexico, he saw how wind corporations were violating indigenous peoples’ rights and taking over their land. He moved to Oaxaca to provide access to information and support to communities fighting to regain control over their land. Community leaders then approached Sergio, proposing a partnership to building a community-owned wind farm in Ixtepec. For its part in the partnership, Yansa provides the technical, managerial, and financial assistance required for the wind farm. In return, the community would be the backbone of the project, engaged in every step and eventually taking over full operation. They would direct the process throughout all phases of development and implementation, which would include social and economic programming supported by profits from the wind farm. This distinct collaborative development model, defined by partnership and long-term sustainability is what truly inspired me when I joined Yansa and it is what has kept me dedicated and engaged ever since. Community partnership and localized ownership are essential components of our projects and differentiate them from others in the wind development field. Our community partnerships foster trust and transparency while ensuring the fundamental economic, cultural and political rights of the community members we work with. Community collaboration has been a rewarding and successful process but it has not come without challenges. 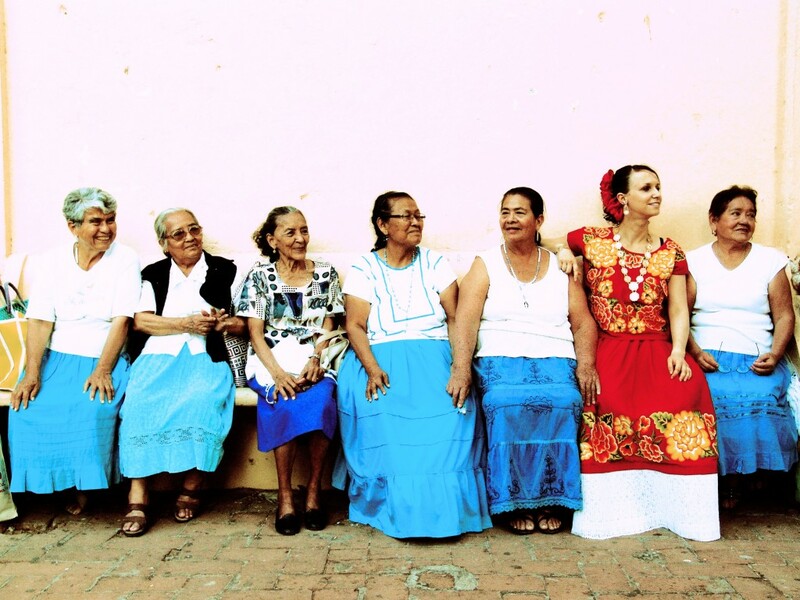 In the early stages of our project in Ixtepec, we discovered a strikingly low rate of participation by women in decision-making processes or governing bodies, especially associated with land use. This was in part due to land ownership historically being passed through men who have traditionally worked the land. To make our process truly inclusive we insisted on finding a way to engage women in the project without disrespecting the existing norms and social fabric. Segio was adamant that the wind was a collective resource that belonged to everyone, not just those who own the land. He insisted that in order to proceed with the partnership, all stakeholders, including women and other non-landowning groups, must have an opportunity to participate in the process. To address this, we proposed the creation of the Women’s Forum that would convene regularly to discuss issues connected to the project making their voices heard in decisions involving the wind farm. The male dominated governing bodies were receptive to this and together with Yansa, they helped commence the very first meeting of the Women’s Forum. The forum is the first independent women’s organization ever formed in Ixtepec outside of religiously or politically affiliated groups. This represents an important transition to a more inclusive process of participation for women in the community. 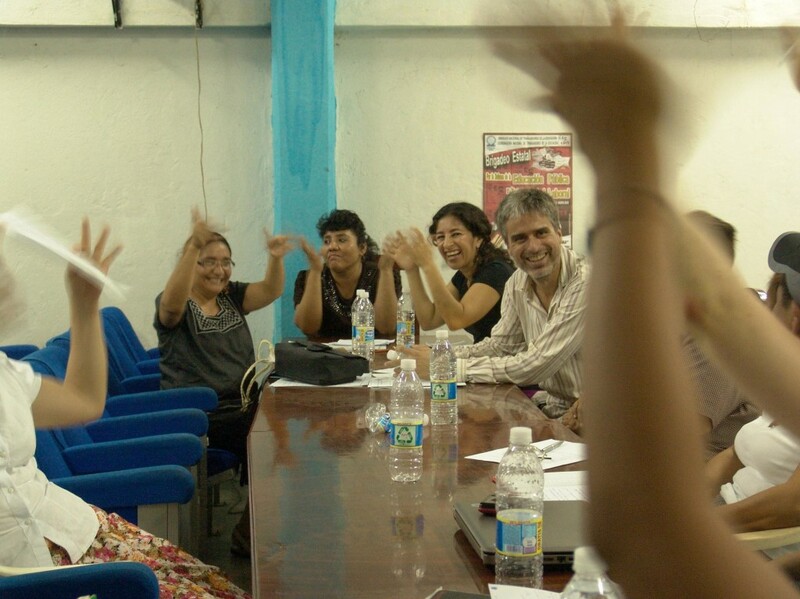 Initially driven and guided by Yansa’s staff, the forum is now completely self-sufficient, with a core group of dedicated women meeting every week to ensure their involvement within the decision-making and community collaboration process continues. Reflecting on the success of the Women’s Forum in writing this blog has been inspirational. My work from home can sometimes feel isolated from events on the ground. I can get bogged down in emails and deadlines and forget why I have committed myself to this collective effort. I am appreciating, perhaps for the first time, that what seem like small victories are actually concrete, tangible changes that my colleagues and I hope to inspire. Our original mission was to support a ‘just transition’ to renewable energy but to really achieve such a monolithic goal we need to support many small ‘just transitions.’ Transitions that allow once marginalized voices to participate fully in decision-making processes that effect their lives, making partnerships more equitable and fair; these are the small advances that can catalyze larger, structural change and build a foundation that supports durable and sustainable models for change in the future.